Kenya will offer Eurobonds and seek a syndicated loan to raise the 287 billion shillings ($2.8bn) net external financing it planned this fiscal year, a Treasury official said. The state plans to raise as much as 250bn shillings of Eurobonds in what would be its third sale of the debt, Treasury Principal Secretary Kamau Thugge said by text message from the capital, Nairobi. It will also seek about 37bn shillings of commercial debt, he said, without giving more details. Kenya sold $2bn of 10- and 30-year Eurobonds in February, after a debut $2.75bn sale in 2014. The yields on the bonds due in 2024 rose 1 basis point to 7.3% by 12:40 pm in Nairobi, erasing an earlier drop, while the 2048 securities were at 8.962%. The shilling dropped 0.3% to 101.60 against the dollar, the most in five months and its weakest level in eight months. The International Monetary Fund estimates Kenya’s total public debt will peak at 63.2% of gross domestic product this year from 58% in 2017. 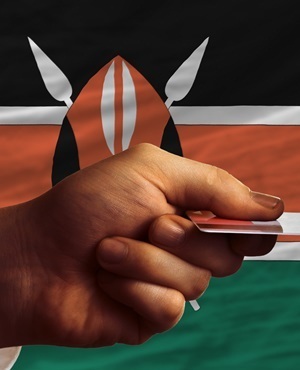 It said last week the higher debt level increased the nation’s fiscal vulnerabilities and places Kenya in the top quartile among its peers. The Washington-based lender urged the state to refinance debt using concessional loans to lengthen maturities in the coming year and limit commercial credit for projects with high social and economic returns. The Eurobonds plan "could aggravate the negative sentiment on the shilling, coming on the heels of the unfavourable Article IV consultation report by the IMF, which raised concerns about Kenya’s risk of external debt distress," said Faith Atiti, an economist at Nairobi-based Commercial Bank of Africa. "A new Eurobond sale against a backdrop of external debt concerns and rising interest rates in the international debt markets could worsen debt sustainability concerns feeding the recent pressure on the shilling." In addition to the external financing, Kenya’s budget targets domestic borrowing of 271.9 billion shillings to plug a fiscal deficit equal to 5.7% of GDP. Of the 1.69 trillion shillings revenue goal set for the year through end-June, the Treasury raised 329.1 billion shillings in the first quarter, according to a gazette notice last week. Other planned African Eurobond sales include as much as $10bn in century bonds by Ghana and a $2.8bn Nigeria issue.